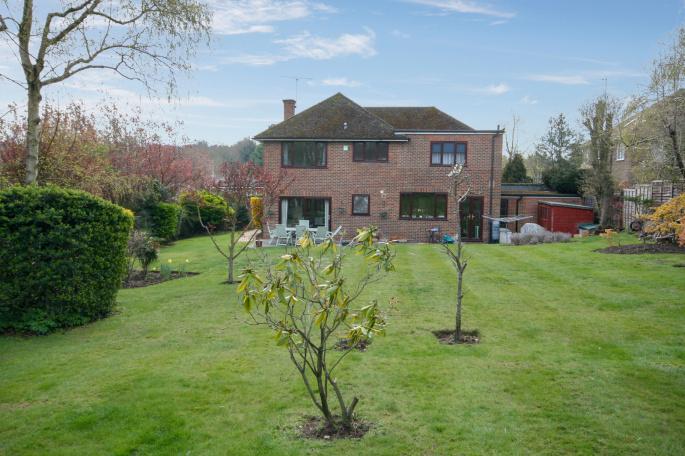 This substantial five bedroom home is privately set within a sought after close on the south side of Gerrards Cross. It is less than one mile to the station and less to the common, shops and The Gerrards Cross Church Of England School. 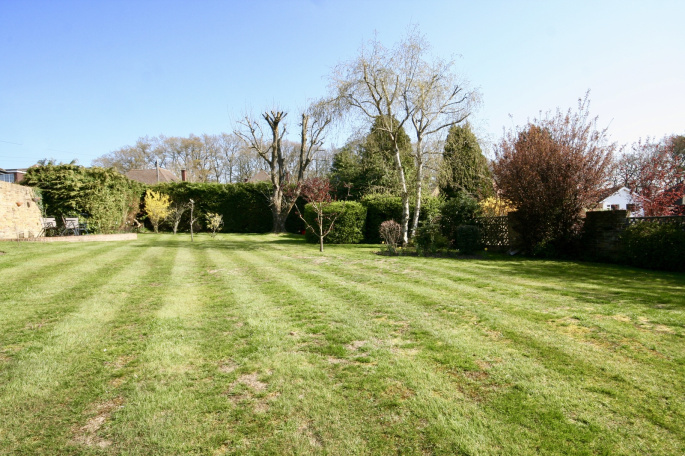 The house is set back from this quiet close by approximately 40' and is well screened by mature conifer hedging. 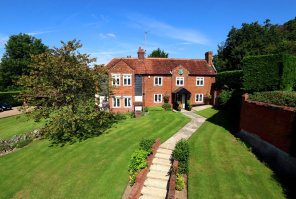 There is a wide frontage measuring in excess of 70' and then a generous brick driveway and lawned front garden. The house itself is entered via a double glazed front door to a reception hallway with parquet flooring and the stairs to the first floor. The three reception rooms, kitchen and cloakroom are all approached from here. 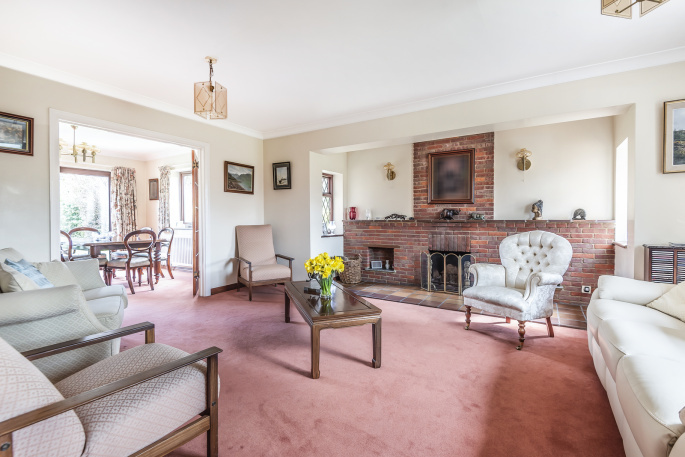 The dual aspect lounge has a brick fireplace with a wide, tiled hearth. 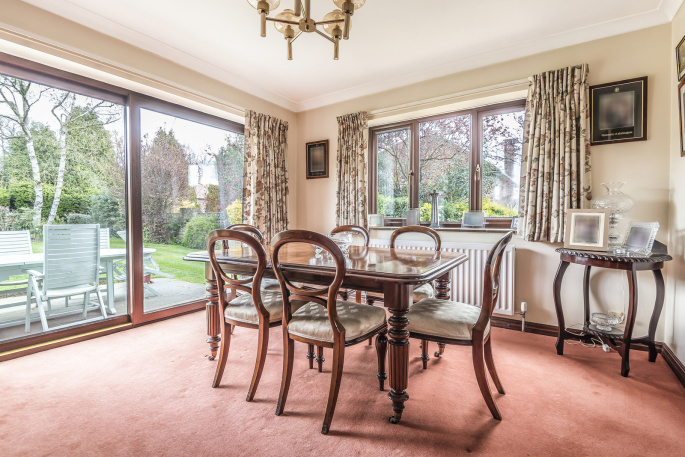 Twin glazed doors lead to the double aspect dining room which is also approached from the hall and has sliding doors which lead to the garden. 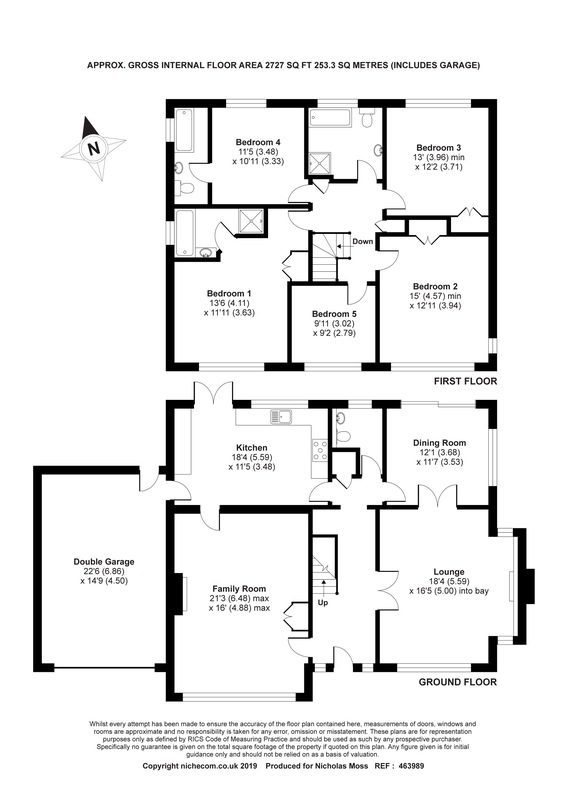 There is a superb family room which measures 21'3 x 16' and is another bright and spacious room. It has a fireplace with gas coal effect fire, a built in store cupboard and a wide picture window which allows the light to flood in. This room is accessed from both the hall and the kitchen. 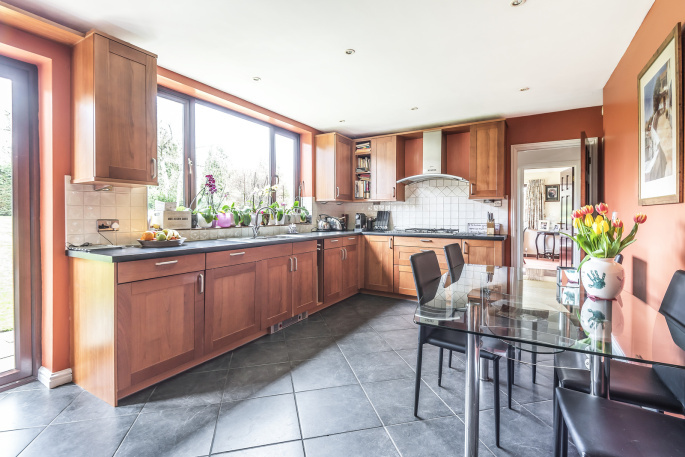 The kitchen has been refitted with a cherry wood style range of units together with a five burner gas hob, double oven, microwave, integrated fridge and dishwasher and has space for a table and chairs. The kitchen looks out to the rear garden and it has doors to outside and to the double garage. 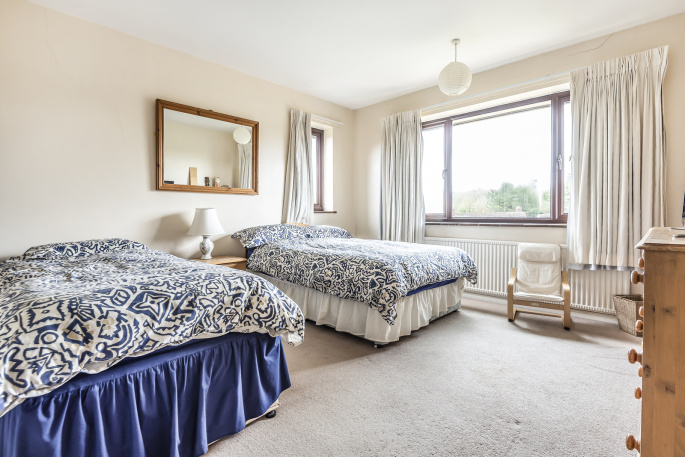 On the first floor there are five double bedrooms, two with ensuite bathrooms, and a spacious family bathroom. 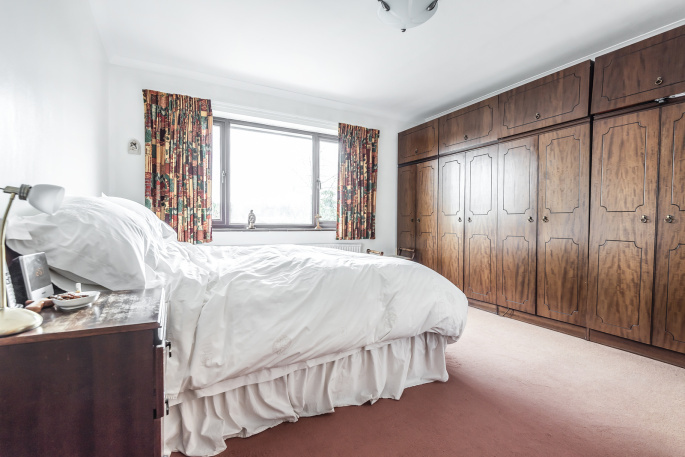 Each bedroom has a fine outlook either to to the rear garden or towards a rolling landscape to the front. They are all bright rooms with their large windows. 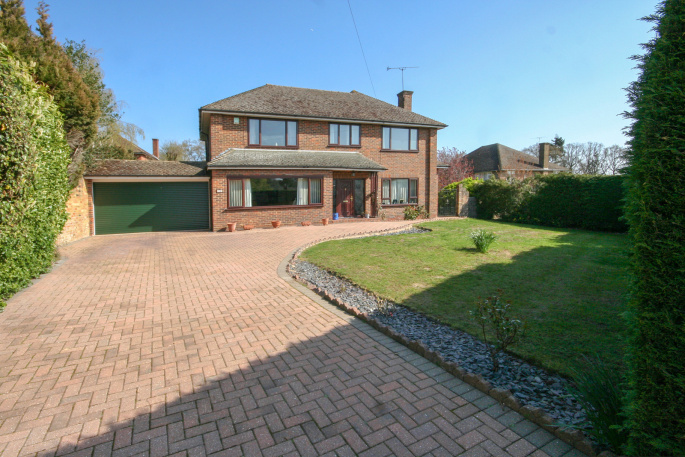 Outside there is a double garage with a particularly generous driveway and front garden. There is gated access to the superb rear garden which has an overall measurement in excess of 100' x 70'. The garden is private and partly walled. 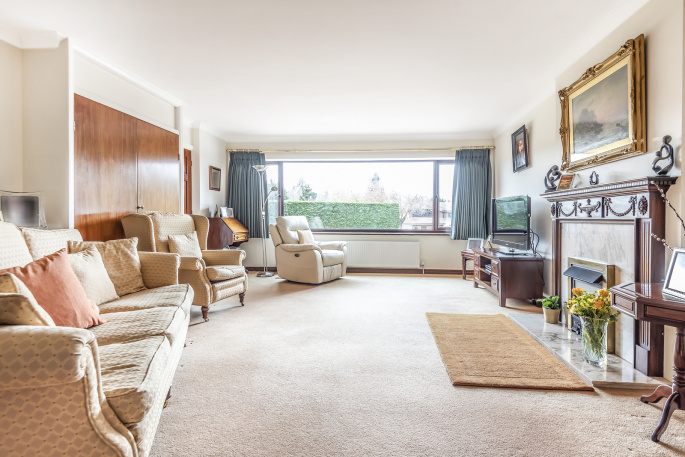 The house is within a short walk of Gerrards Cross Church Of England School and is within about three quarters of a mile of Gerrards Cross centre. The location is outstanding being both convenient and quiet. "Thanks for your advice - it has been really helpful to get the thoughts of someone who we consider a true professional."